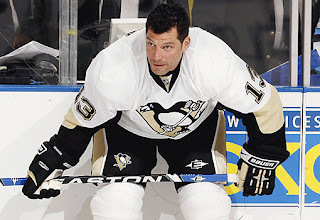 Before becoming Penguins player development coach Bill Guerin played a little bit of hockey. And he played it very well. For that USA Hockey has named him to their very own Hall of Fame. For the few who don't know, Guerin played a lot more hockey than just his time with the Penguins. While he made a lasting impact with the waddling warriors, winning a Stanley Cup and being one of the keys to that Cup run, he spent 18 total seasons in the NHL. Splitting time between the New Jersey Devils, who drafted him 5th overall in the 1989 NHL Entry Draft, Edmonton Oilers, Boston Bruins, Dallas Stars, St. Louis Blues, New York Islanders and finally the Penguins, Guerin amassed impressive point totals. A two time 40 goal scorer, Guerin potted 429 goals and 427 assists over his time in the league. A two time Cup winner, once in the 1994-95 season with the Devils and with the Penguins in the 2008-09 season, Guerin was elected to four All Star teams and won the All Star MVP award in the 2001 meeting of the game's best. Guerin is no stranger to the red, white, and blue either. He represented Team USA three times in Olympic play (1996, 2002, and 2006). He was part of the silver winning squad in St. Lake City, Utah in 2002, losing to his future boss, Mario Lemieux, and Team Canada. Despite all of these accolades, Penguins fans will best known Guerin for his Cup win and the leadership he brought to a once floundering Penguins squad. 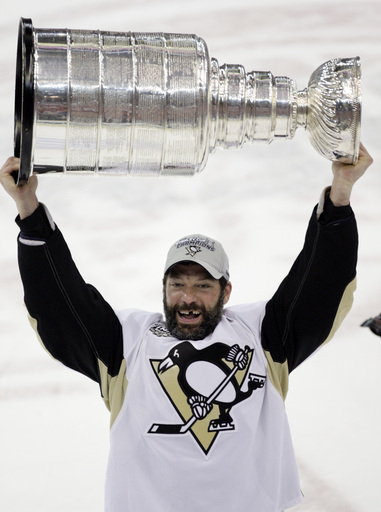 Part of an improbable run, he's forever sealed his place in the Penguins Hall of Fame and the USA Hockey Hall of Fame. Guein becomes the 14th figure with ties to the Penguins to enter the USA Hockey Hall of Fame. Among them are former general manager Craig Patrick, former coaches "Badger" Bob Johnson and Herb Brooks, as well as former players in Mark Johnson and Joe Mullen.